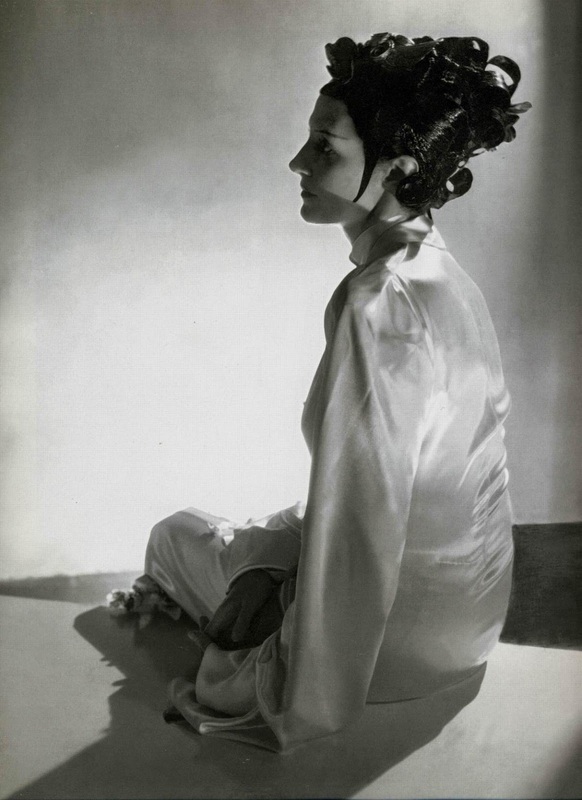 In this 1935 photograph taken by Horst P. Horst for Vogue (who often used Tungsten lighting to heighten an image's dramatic contrast and shadowy quality), Daisy dons a satin Mandarin dress by Schiap and an eerie and fantastic lacquered wig by Antoine de Paris. 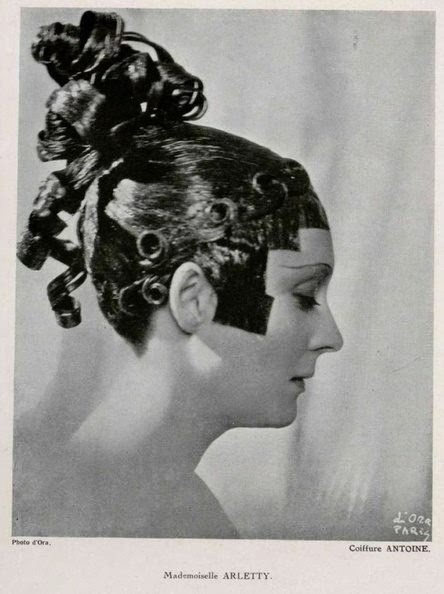 Born Antoni Cierplikowski (1884-1976) in Poland, Antoine moved to Paris and became the celebrity hair stylist of the 1920s and '30s. 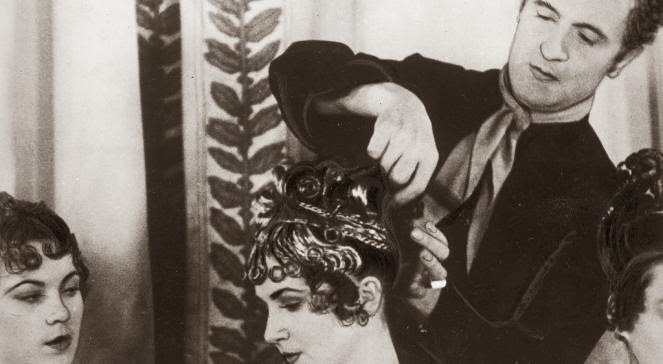 His clients included Josephine Baker, Claudette Colbert, Marlena Dietrich, Greta Garbo, and Elsa Schiaparelli. He eventuality set up 67 salons in places as far afield as Los Angeles, Chicago, New York, London, and Melbourne. 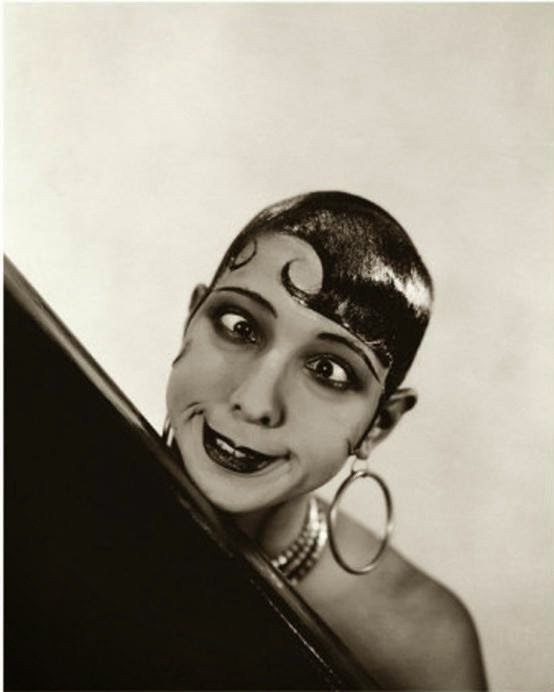 Josephine Baker in a wig by Antoine de Paris. 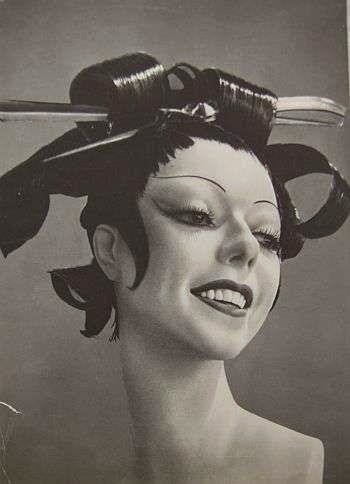 Photo by: George Hoyningen-Huene, 1934, Vogue. 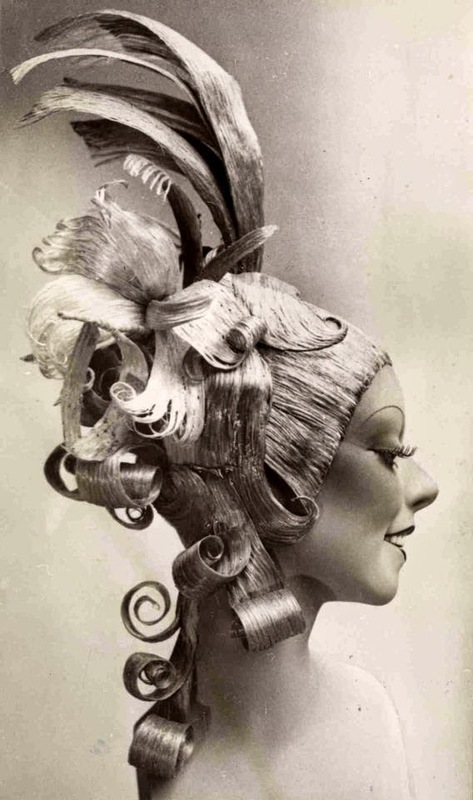 He is credited with trends such as the bob, tinting grey hair blue, and the white/blonde streaked forelock, but what I find most intriguing are these shellacked wigs worn as hats. 1. Just wow! 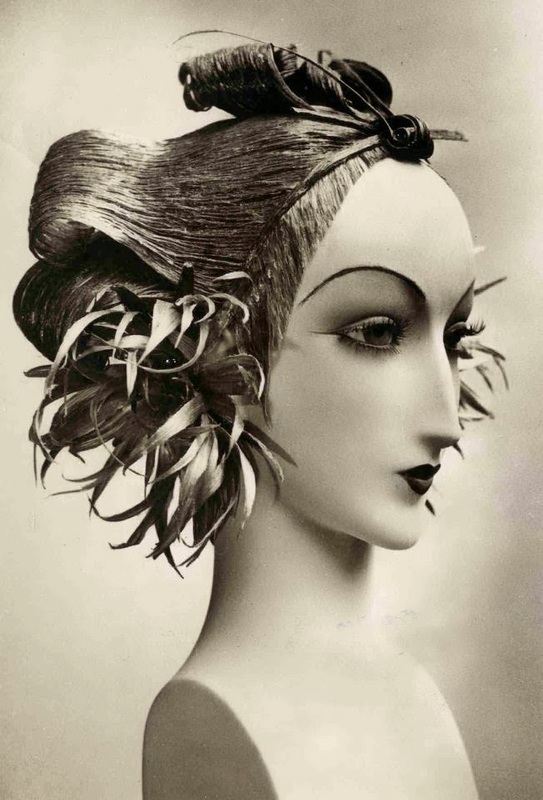 It's easy to see why Antoine became a "favorite of the Surrealists -- Man Ray, Salvador Dali & Cocteau in particular -- and his work certainly complemented the oneiric fillip the Surrealists managed to inveigle into every early 20th Century art-form & medium." 2. Comédie-Française. 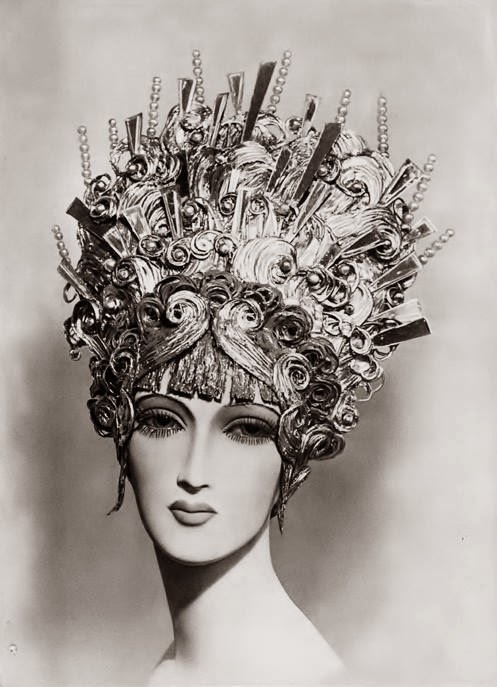 Photo by Brassai / Françoise Rosay, 1932. 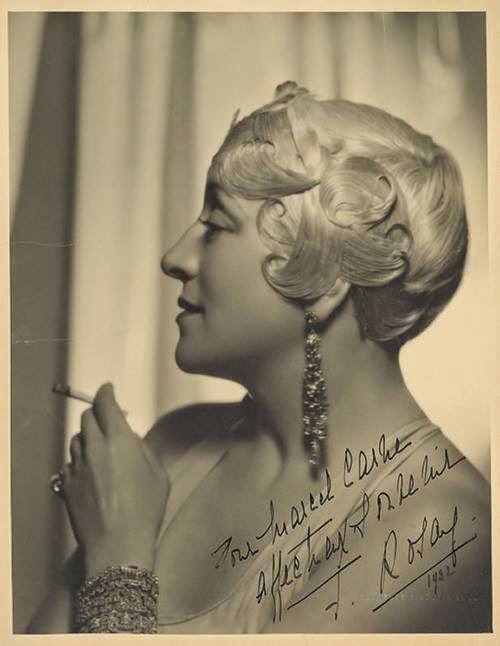 / Photo of Arletty by Madame D'Ora (Dora Kallmus), 1932. 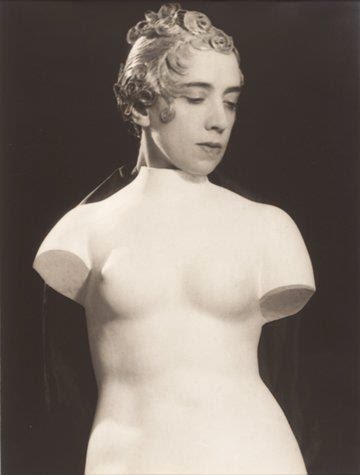 Man Ray took this photograph of Elsa wearing a lacquered Antoine wig around 1933. 1. 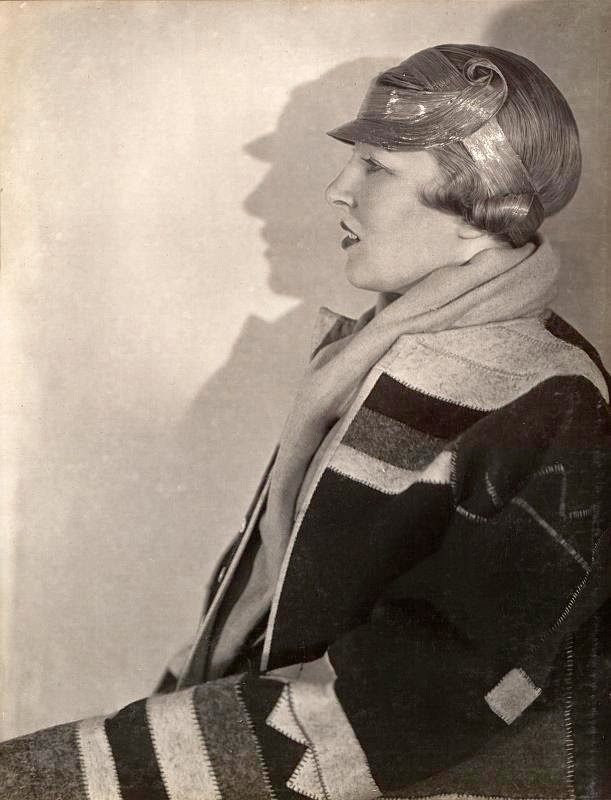 Mary Louise Roberts, "Samson and Delilah Revisited: The Politics of Women's Fashion in 1920s France," The American Historical Review, Vol. 98, No. 3 (Jun., 1993), pp. 657-684. 3. Andrew Bolton and Harold Koda, Schiaparelli & Prada: Impossible Conversations, The Metropolitan Museum of Art, 2012, page 50.